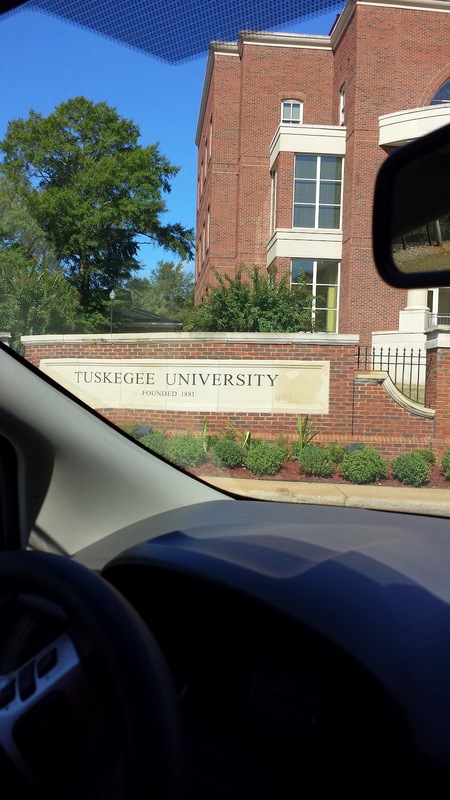 2015 FGS Conference: Why Should YoU Go? 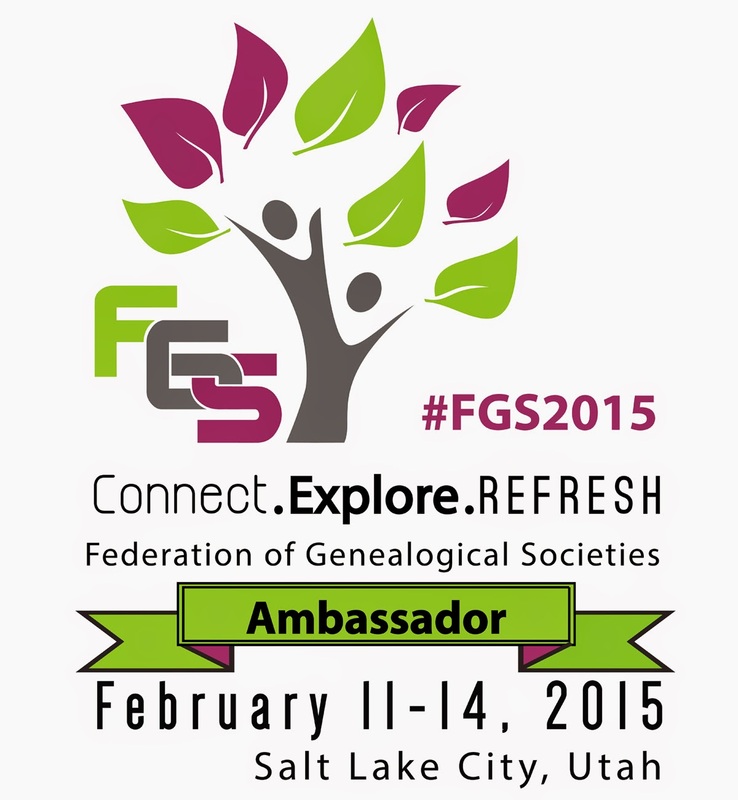 2015 FGS Conference with Rootstech Conference! Is Your Way to Register & Connect with Us! Why Should YoU Go? It's a Whole New World! In the movie Aladdin!Remember that Song? ... 100,000 things to see... A new fantastic point of view....With new Horizons to pursue...Every turn a surprise...That's where we'll be! A Wondrous Place for you and Me! Just had to throw a few lyrics in there! You get the Point, Don't Ya! That's Why Should YoU Go! You will be amongst your OWN. Good Folks who love doing what you do with the bigger Purpose about Researching and Technology and all the best tools we can use to advance. Knowledge from all the many General Session lessons. Special Events & Luncheons. Organization skills. Fellowship! and how we can all Move together Collectively! My Reasons for Participating in 2015FGS! I had to get my feet wet! I had to jump in, go full steam ahead! That is why I decided to ask to help as being a 2015 FGS Ambassador! For years I have been a Stay at Home Genealogist. Now I'm a Family History Blogger. I took the steps in joining my Ancestral Historical Society and that has lead me to being involved with 2015FGS Conference to take my Research to another Level. This October I went for the very 1st Time to Bullock County, Alabama to visit my Mentor and Attend my Historical Society Meeting. I belong to Bullock County Historical Society. What a Joy! I live in Kentucky so I get my Newsletter monthly. I follow my Fellow Members that way because I can't be there all the time. It was so Good to see the faces, to put the names of our Members faces together. I really felt the Love, and they Welcomed me with open arms and said the same about me; Now we see the face to your name! I felt the Importance of why I needed to be part of Historical Society. When I first started I would go to my local Courthouse and Historical Society in the area even tho my Ancestors weren't from that place just to gain experience. Those were the baby steps I took. Now I'm ready for the Big League! 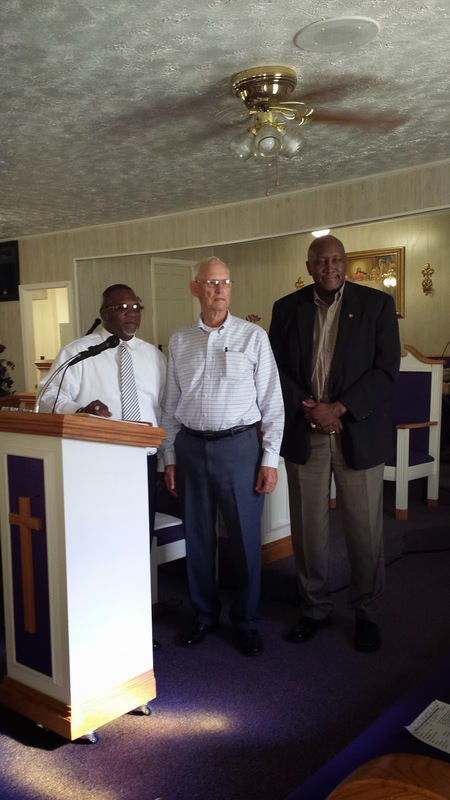 My Spratlan our President introduced us to the Probate Judge who attended as well, Judge James E. Tatum. So of course I was beyond myself when I saw him. I see his name on many ordered documents. I finally got to see him in person. 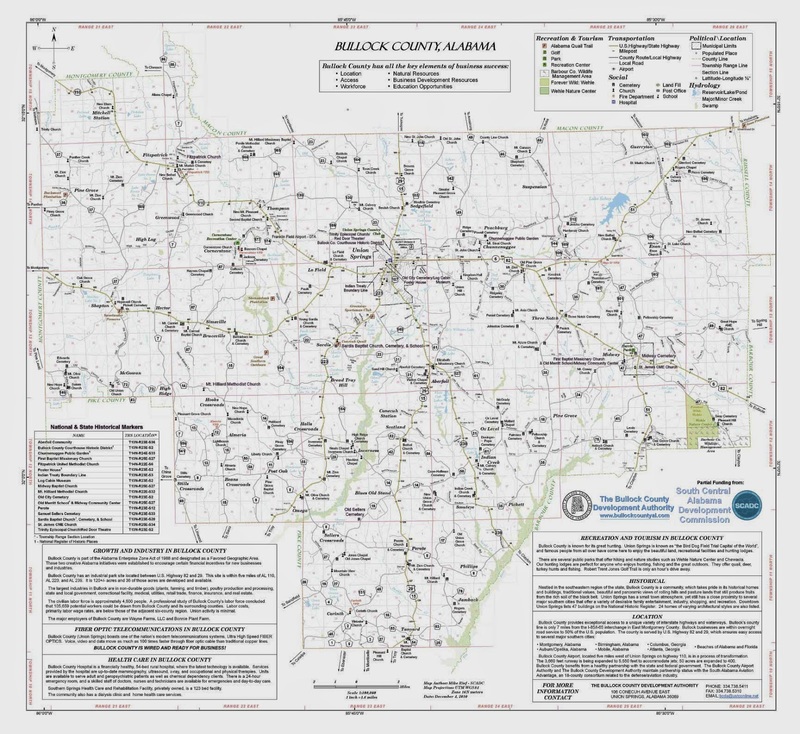 I have to do my research on site or through snail mail in this County. Once a month Mr. Spratlan chooses a location within the County to hold the Meetings. That month in October 2014, the 2nd Sunday in the Month, the location was New Mt. 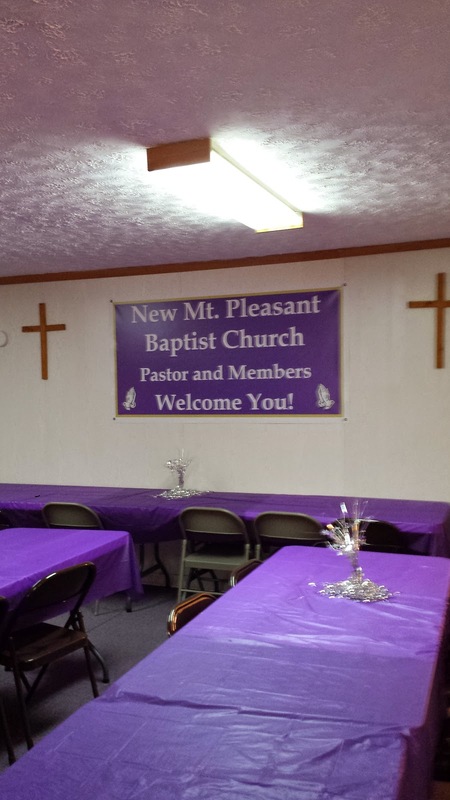 Pleasant Baptist Church. Thompson, Alabama. The Pastor of the Church was in attendance Rev. Henry Streeter. If I didn't belong to a Historical Society or Attend a 2015FGS Conference, I wouldn't know this Joy of Genealogy in whole new Light and World. Gain all this knowledge to take the next steps to finding my Ancestors. Here is where you can Register for "2015 FGS Registration"! You don't want to Miss it! Also, take a Look at a Old Blog I did for My Mentor and Historical Society President. It's my Show of Appreciation. Down Below! 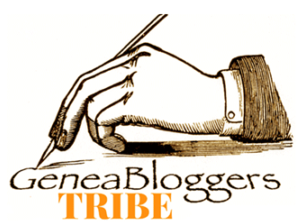 Genea-Musings: Saturday Night Genealogy Fun -- What Did You Collect as a Youth? Here's some of my quirks of Collecting when I was a "Youth"! This is for you Randy! Thanks for sharing your Collections! Cartoon Clippings. 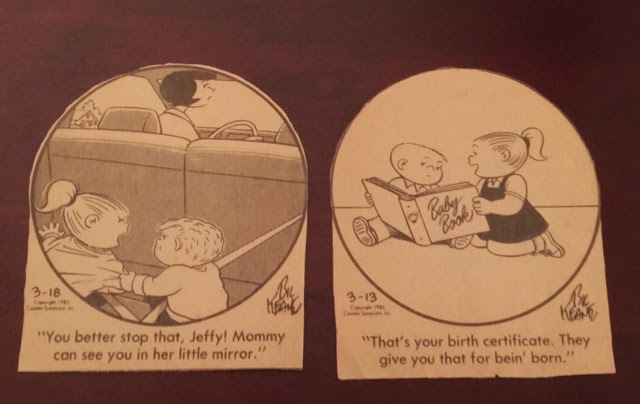 2nd one was Family Circus. NoTe's. From school chums, I passed a lot of NoTe's in school and kept them in a shoebox. Today I still do that all over my house. I have NoTe's everywhere, very so, I named my Blog "NoTe's To MySeLf". Jeffrey was so Naughty, I always thought he should of got a Spanking for all of his Antics. He had a Good Mother! 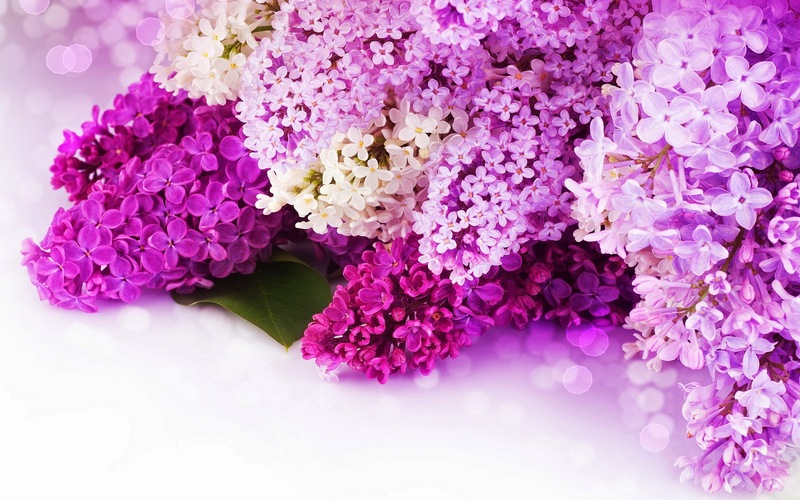 (*giggling*) The LOVE is.....I was always having a "Romantic" moment somewhere in my head with these. I'm glad I got to break them out and commiserate on them, through Randy. These are just a few. I have them put away for a "Rainy Day". If you want to Participate or Follow along, Add your's! Randy reminded me of what I use to do on a Saturday night when I couldn't go out because I used up my Friday night instead. I wasn't allowed to do both days. Sundays were reserved for Church and Sunday Dinner. So sitting home with no Siblings. This is a few of would what end of up as many Collections as I got Older. Many Thanks to Randy Seaver! Best Regards, True! from NoTe's To MySeLf, of "My True Roots". 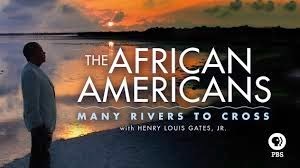 Many Rivers To Cross, PBS. Except from where you submit your Story and Here is Why? African-American history has played an integral role in the shaping of politics, economics, and culture in the United States. 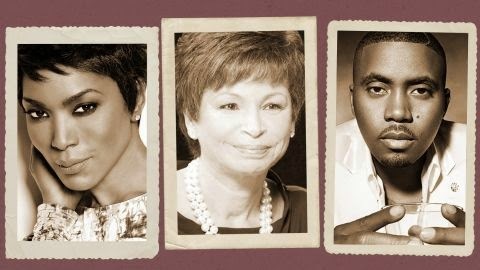 Growing up, how did you learn about the accomplishments and struggles of African Americans? Were you in a classroom? Reading a book? Talking with relatives or friends? How has your understanding or knowledge of African-American history changed and/or developed over time? What do you think is the most effective way to pass along this rich and growing history to future generations? This is what I submitted for Record for PBS and Dr. Henry Louis Gates. I was at the age of 9 in 1977, when I stared listening and asking questions of my Dad about our Family. 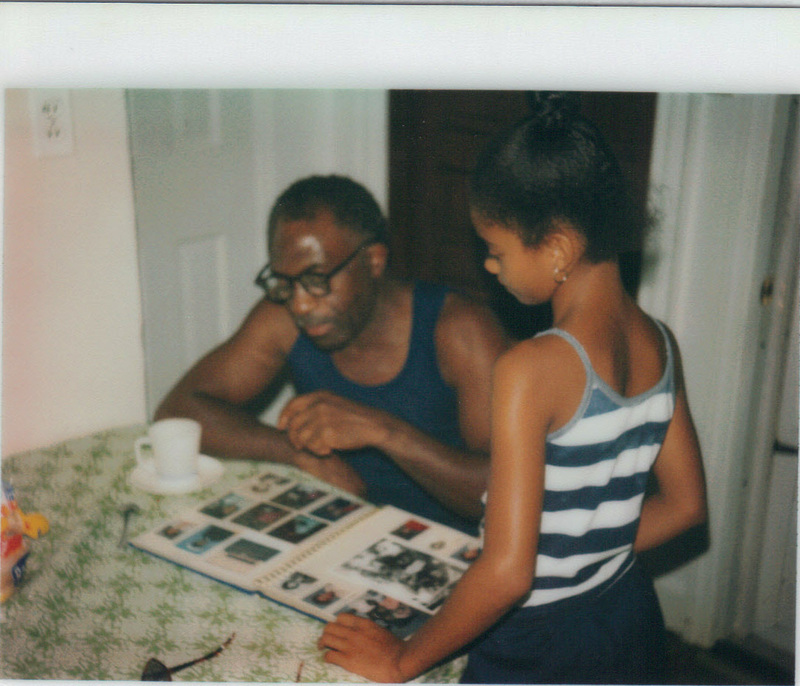 I don't know who took this picture of me and my Daddy but it reflects on what I have doing ever since. Trying to piece together my family roots, it was the same year that summer my Grandma Queen Daniel Miles passed away. "Roots" came on television. I wanted to know more. Little did I know it was called "Genealogy" back then. So here I am now, still getting those Oral History interviews in writing "NoTes To MySeL f " by way of blogging. Doing all I can in research even as far as doing DNA testing. It's fulfilling, it takes time and patience. My Greatest Readers are not born yet, I have to keep telling our stories. It's my responsibility to keep Honoring our Ancestors! Was Submitted Publicly during October 22 ~ November 26, 2013. For Premiere of "Many Rivers to Cross". For the Record and For My Remembrance. Labels: African American Slaves., Ike Ivery, Midway Alabama. "My True Roots" turns 2 ! 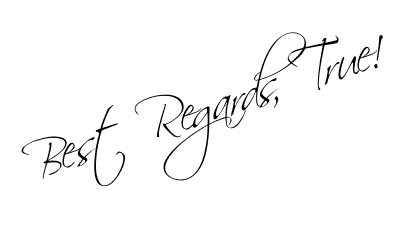 My Very 1st Blog! was 2 Years Ago! November 7th, 2012 at 2:32pm in Honor of my Dad on the Day he Passed. I Just want to "ThaNk YOu"! To: My Entire Family...There are so many that take my calls, my email, my text at any Given hour. You all know who you Are. 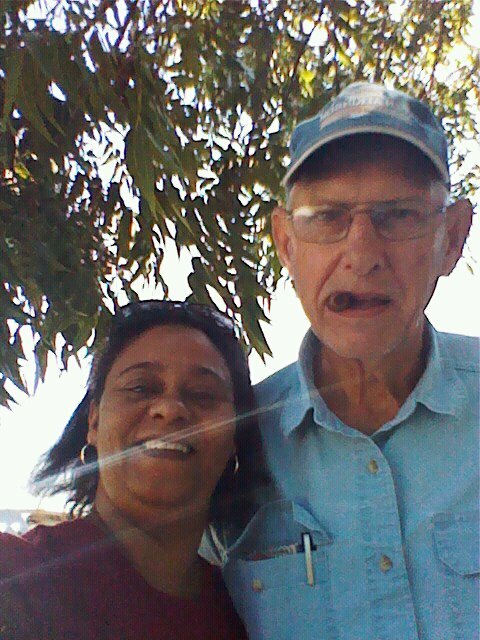 For Bettye, Bug (My Father) Bobby & Corky. Without you all placing your Trust in Me this wouldn't be Possible. I'm Grateful for you all taking time to help me. Thank you for all your Prayers & Encouragement. 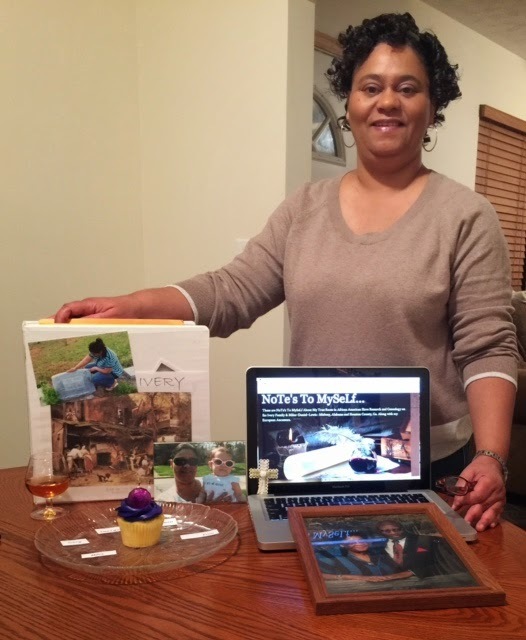 Please know that every Word and Picture I place on my Blog is because you have Contributed. You, My Readers the most faithful of them ALL, have stuck by me * encouraged me * prompted me * gave me criticism when needed * advised, taking my Hand and Walking with Me all the way through. I'm Posting this Blogiversary Piece on the same Date and Time as I did for my Very 1st Post. November is always Bittersweet, both the People I Love and Miss! passed away on this month. Mom passed away on Veterans Day that year on a Tuesday the 11th. Daddy followed her 361 days later on my Army Retirement date. November 7th. They left me that "Sweet" as a Remembrance always. They don't have to worry about me Forgetting them. What a Journey I have been on. Thanks for stopping over and reading about my Family History for the last 2 years. It's Very Much Appreciated! Thanks for all your Comments and NoTe's! and simply taking the time. Please keep coming by as I grow. It's been a Very Great 2 years with all your Support. I hope I'm growing and learning more each day to become my Family's Griot. Telling Our Stories better as time goes on. My Sankofa Journey to Georgia and Alabama in October and some Great Finds for future Blog Posts, Attending my Historical Society Meeting for the 1st time in 4 years. Learning about my DNA ! and my Haplogroups: U5b1c2 and E1b1a7a! and where I come from!, it's been a Honor for me to be chosen as a 2015 FGS Ambassador for the Federation of Genealogical Societies. 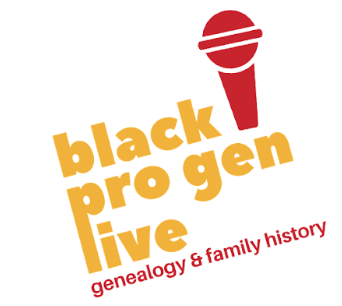 Having a segment on my Family History Revealed on something even I knew nothing about! as much as I research! on PBS for Genealogy Roadshow. Don't forget to click the LINK at the TOP on my very 1st Blog Piece. To see how I got started from 2 years ago.... to now. Labels: African American Blogger, Ike Ivery, Midway Alabama, My True Roots, Slavery. Finding Your Roots! We Come from Ivery's! Don't ever say; "I can't find Nobody" in your research. I can't find who I belong to? This episode tells you We Came from Somebody......Me: I Come from the Lewis ~Ivery~Miles~Daniel and Sweigard's and many More!.. We have receipts for our People like Property. Why did they put a price on us? What made them think they could put a Value on our Lives? This episode rang True for some many Folks and it has to touch the Heart of every American. If it doesn't, you have no Respect for Yourself. For mankind. Angela, Nas and Ms. Valerie's story should hold reverence for you. It's about your Story as well. That is why there will Never Ever Ever be a day I won't stop "Speaking about my Ancestors" or write. You Family Historians know what I mean. Grandma Eddie Ivery Lewis, born 1888, her Father Ike Ivery, born 1853. His Father William Ivey born 1812. My Daddy born 1918, James E. Lewis. Those Miles, Tinnie and Queen and her Mother Lizzie, 1843. As long as I can and Lord help me! I don't want my Family to forget. I hope we find more of the ones who are LOST. So we can keep Our Circle Unbroken. I know my Family will see to it their Lives are not in Vain. They are in my DNA. In 1 hour you can not tell all the information they find. This is where I take NoTe's and re watch. Look for clues that will help me in research regarding a name or piece of history I heard on the show, even location research. I always have to go over the show to get some of the details lost or not followed up. I'll help tell some of their finds from Dr. Gates along with some of my family history. Angela grew up in St. Petersburg, Florida. Daily life was a challenge. That is where she got the acting bug. She always wanted to know about her family, but like most when you first start it does seem to be a daunting challenge. Overwhelming. I still feel that at times but the Ancestors are with you always there to Lead you on. Most times you don't know where to begin? Angela is ready to know how her Ancestors survived, even trying to place herself in their shoes. Asking; I wonder if I would survive their circumstances? Her Ancestors were George and Jinny Ingram. They got a chance to "Jump the Broom", they lived like many Slaves in cohabitation with each other, after Slavery they can get a Courthouse marriage to make their families legal. That is how they found out with Angela's family the reasoning behind the Ingram-Bassett last name. They were owned by the one and same. That is how they gained and lost those surnames between them. 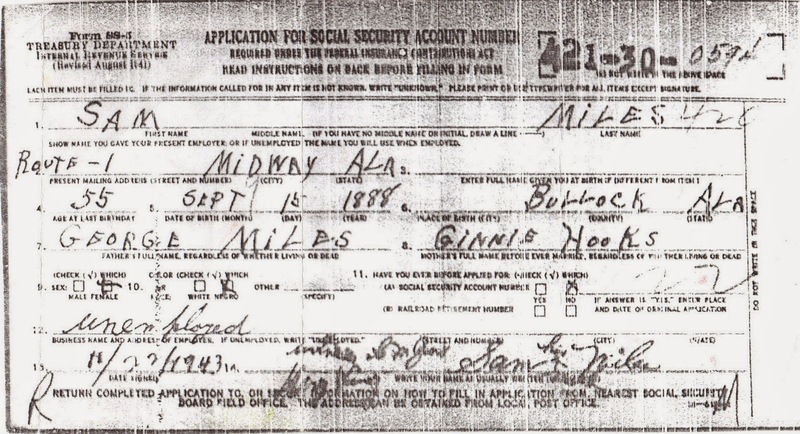 My 3rd Great Grandparents are George Miles and Ginnie Hooks. So I found that interesting. I don't much information beyond census records mostly on them with Oral History,their Son Sam Miles, my Great Grandfather. These Parents of his were listed on his Social Security Application. That's how I found their legal names. Through out the family they are Big Pa and Grandma Sissy. That backed up my census record in 1870. Angela's DNA revealed she was 77% SSA. 1st Black Graduate of MIT, he helped developed with the architect of one of the oldest African American Black College; Tuskegee University. Were I recently took a visit 2 weeks ago. Had I known? He was also born in Cumberland County, North Carolina in 1823! Angus Taylor is his Father, he gives a glimpse into what his father looks like in a letter from Booker T. Washington stating that he was yet a Slave, but; "Given liberty to do about as he pleased" yet he was not Free. He didn't Free him. So it begs the question why didn't he free him? Was it for his protection? and the complexities that goes with that? He wasn't just Henry's owner he was his Father as well. Eventually she would find out her 6th Great Grandparents her Grandmother Marianne had 6 children by Mr. Pierre Rochon her Slaveowner in Alabama and he freed his children March 20, 1770. That was astonishing to me 6 children were Freed in 1770. That is a long time to have Free Persons of Color (FPOC) at that time in History. This is how all her Ancestors were Free. At one point Dr. Gates noted her Great Great Grandfather Victor Rochon was the 1st Black Legislator from Louisiana in 1872 and 1888. So Valerie has this in her DNA, her Blood. She is now serving with our 1st African American President, Pres. Obama. So she was made to to do this work. I to wondered how Marianne felt a year later Pierre Rochon passes away and all those thoughts of what she might of felt at the time when he told her as his Lover and mother of his children they are FREE! They made a new life in Louisiana from Alabama. Dr. Gates points out that he "Manned up" something President Thomas Jefferson was always conflicted about doing. Her DNA revealed she was 51% Euro and 46%SSA. I come from the Melly Mel, Sugar Hill Gang, Dougie Fresh, LL Kool J, and Queen Latifah era of Rap. Yes!,quite so. Even my kids laugh sometimes I can "Rock the Mic" in a Ol'Skool minute. I paid attention to Nas! when he wrote: Illmatic the album. Since that time I make sure I listen out for his albums. They are a source, a citation on our History. He prolifically announces unashamedly to the World. As he should. The young man is very knowledgeable about our History. We family historians write, when he writes, he put it's into Rapping. Same work, he just projects it differently. He was quoted by Toure' of MSNBC as being articulate and having detailed lyrics. He realized this at the age of 7. That is when everything Set if Off for him. He started seeing his Life outside of the Ghetto. Imagine.....7. My eyes were opened to Genealogy at 9. Nas is a "Beast" in the Rap World. Nas's mother born Fannie Ann Little, 1941 in North Carolina. Richmond County. She always taught and wanted her sons to have a deep connection to their Roots. Just like my Grandparents there were yearly trips to Alabama so I could see hear and smell my Roots they would be ingrained in me till this day. I would say the same things Nas said about going Down Home, or the South. Like it is for me Down Home in Midway, Alabama. Being born and raised up North in Pennsylvania. Everything in life moved slow and it was the country down there. It did feel like we were on the Plantation down there in my small naive youthful way. Even my way of speaking was foreign. Nas's family goes back 5 generations in that county. Mine goes back to at least 1869 as far as I have traced. That is one of my oldest documents; a marriage license. Nas's story focus's on his 3rd Great Grandmother. Pocahontas Little, aged 15. She was worth a 830$ bought by Benjamin Franklin Little, March 27, 1859. Makes me wonder what else was going on the day of her Sale? I will have to research what the climate of that town was like and what else was going on in History? These are the little things that keep me up at night worrying about what happened, what was going on? I try to go to that place in my Heart and Spirit just to imagine? The picture of BF Little made Nas come face to face with who owned his 3rd Great Grandparents. The part that got to me was he said he had 850$ in his pocket right now. He mentioned he is considering going back there and get the Land. I hope he does! I have to say there was a bit of conversation and debate going on about BF Little from one of his Descendants a lady in the comments section of the video excerpt for Nas. It was very compelling and it brought up a lot of emotions for everyone reading in. She was quite upset over the portrayal of him. She didn't think it was fair for him to be seen in that light. I'm very opinionated on this subject. It was interesting seeing her views and feelings on him being a Slave owner. She got a lot of response which I'm sure she didn't agree with. In the end it had to open her eyes this was a man that had a choice. They all did. Many were against Slavery and choose to not build their fortunes on the backs of a Slaves life. They tend to romanticize their Ancestor under the illusion my Ancestor wasn't a bad Slave owner and other guises they tend to use to defend their actions. Those chains of pain whereas today Nas wears gold chains around his neck. He felt like we changed those chains of pain into chains of Freedom. Nas's DNA revealed he was 82% SSA. He also did a Y dna test on him to reveal his Haplogroup. He was Viking. Which is haplogroup R. that tells of his Origins and his ancient lineage where his 1st Ancestor began. WHO DO YOU COME FROM? Remember. We Come From People! We are not Property, Chattel, or Animals. I could write so much more. I just wouldn't do it Justice. When you have the time you can go to PBS Finding Your Roots at this link to watch the full episode online. DNA behind the Scenes! shows you how to learn how they do the work behind the scenes to get the Guests DNA results.